- Blendable: My project has to be designable in Blend at all times! In part 3 we got most of the way using sqlite-winrt by abstracting the platforms specific implementations into a set of interfaces which were exposed by a portable class library (PCL). This meant we could have all our application logic in a reusable class library (ie another PCL). We’re going to use a similar technique in this post to do the same thing with sqlite-net. This should solve the last remaining issue which was being able to query using objects, not sql. In part 2 we discussed briefly how to get started with sqlite-net. Essentially for Windows Phone you needed an additional native-to-managed bridge, in addition to referencing the SQLite for Windows Phone visual studio extension. When you add the sqlite-net from nuget you’ll have noticed that it added two files, SQLite.cs and SQLiteAsync.cs, which contain the LINQ style wrapper which makes it possible to read and write objects. It’s our goal to define a set of interfaces which can be extracted into a PCL. As we did in the previous part with sqlite-winrt, the first step is to create a separate SQLitePCL project and to define a set of interfaces which map to the classes/methods which is exposed by Sqlite-net. I’m not going to bore you with the details but you can see from following image just a couple of the interfaces which will map to classes such as the SQliteConnection, TableMapping and Column. For each platform we need to implement these interfaces. This is really a matter of taking the sqlite-net classes, defined in SQLite.cs and SQliteAsync.cs and modifying them to implement the defined interfaces. This isn’t quite as simple as adjusting the class signature to include the appropriate interface but it isn’t far off. We need to create a separate class library for each platform, eg SQLiteWinRT and SQLiteWP8. 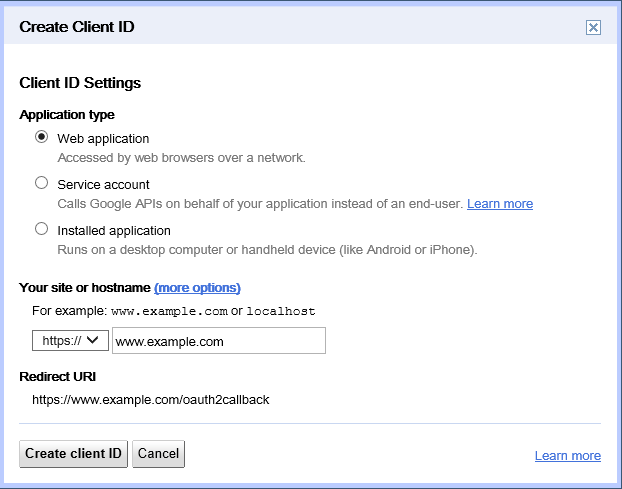 It doesn’t matter which platform you start with (I did the phone implementation first) since you’ll be referencing the same classes using the “add as link” technique discussed in the previous post. You might be thinking, if we’re simply going to be adding the same classes to both libraries why they can’t be all in the shared PCL. The answer lies in the conditional compilation statements at the top of the sqlite-net files – these determine how the classes are built for the respective platforms. Again, this class can be shared across both class libraries. In the portable class library for your application you can now access Sqlite using a LINQ style interface (ie using objects, not sql). The only thing your PCL needs is a reference to an implementation of the ISQLiteConnectionFactory interface. In the following code for simplicity we’re doing this with a public property on the DataAccessClass but in a real application you might want to use a DI framework to inject this as required. The last thing you need to do, before you start accessing sqlite (eg calling the DoSomeStuff method) is to pass in the platform specific ISQLiteConnectionFactory implementation. As I mentioned you can do this using your favourite DI framework. In the following snippet I’m simply assigning it in the code behind of our sample application (not an ideal way to do it but super simple for demonstration of the concept!). The following code is from the MainPage.xaml.cs file in the Windows Phone application but the Windows RT code is exactly the same, just referencing the SQLiteWinRT namespace for the platform specific implementation. - Objects Not SQL: Tick! - Blendable: Tick! (assuming you installed the update I mentioned in part 3). I’ve included a sample project which includes all of the libraries and code discussed. So far the PCL support has been non-existent. In this post we’re going to look at adding support so that you can access data from within your portable class library. When I thought to do this I figured it’d be an easy job of creating a bunch of interfaces and a factory, or two. It wasn’t too hard but there was a bit more to it than I expected. We’ll start with using the sqlite-winrt library, and I suspect it might be in part 4 of this series when I return to sqlite-net. For each platform we need to implement these interfaces. Essentially the implementation is just going to proxy calls through to the sqlite-winrt library for the respective platform. For example, here is the implementation of the IDatabaseFactory interface. You might be thinking “really, I need to implement it twice?” Well the good news is that you only need to write the code once. sqlite-winrt has the same set of apis for both Windows 8 and Windows Phone, so whilst you do indeed need to create a class library for each platform, you can actually share the code between the projects (simply add the code file as a linked file using “Add as Link” in Visual Studio). In the portable class library for your application you can now access Sqlite. The only thing your PCL needs is a reference to an implementation of the IDatabaseFactory interface. In the following code for simplicity we’re doing this with a public property on the DataAccessClass but in a real application you might want to use a DI framework to inject this as required. // for a common case! - Blendable: BAM! Fail. Doh! my solution is no longer Blendable. Unfortunately we’ve broken our ability to design our application in Blend. This is hit and miss, if you get to this point and everything is still Blendable then you’re luckier than me. The good news is that there is a fix and it has nothing to do with us writing more code, or changing our existing code. FIX: Install Visual Studio Update 3 Note – it is currently at RC, so whilst it is probably quite stable and safe to install, you do so at your own risk. If you’re risk adverse, you may want to wait until it RTMs. With that fix in place, the only thing let is using Objects Not SQL. More on that in the next post. In part 2 of this series we’re going to look at the second option that I presented on the use of sqlite which was to use the sqlite-net wrapper. For a more detailed understanding of these goals, check out Part 1. 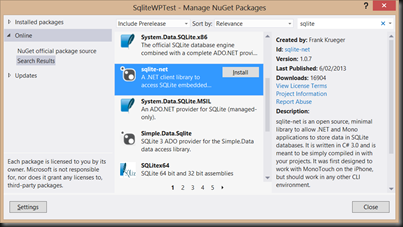 Here’s a brief getting started walk through for sqlite-net . - You’ll need to start by installing the SQLite for Windows and SQLite for Windows Phone extensions. If you’re only interested in supporting one of the platforms then you just need to install the extensions for that platform. - You can either use these links to the extensions, or you can search the Visual Studio gallery from within Visual Studio. Go to Tools –> Extensions and Updates; search Online for SQLite. You’ll need to restart Visual Studio after installing both extensions. 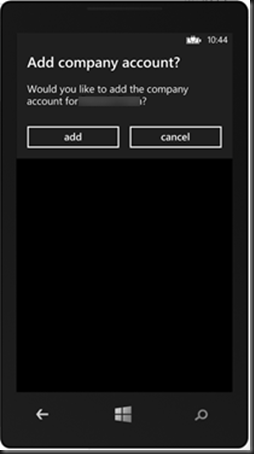 - Create both a Windows Phone and a Windows 8 project within the same solution. 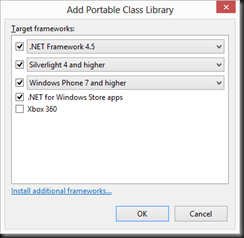 - For Windows Phone you’ll need an additional library that acts as a bridge between the native and managed world. 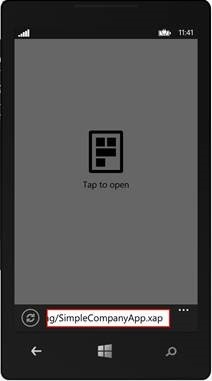 This is the sqlite-net-wp8 library – Just because it’s on git, you don’t need to clone it; simply click the Zip download button to take a copy of the library. 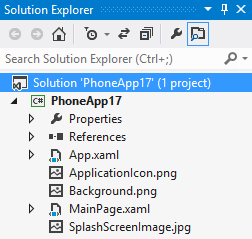 - Unblock and extract the sqlite-net-wp8 library and copy the project into your solution folder. 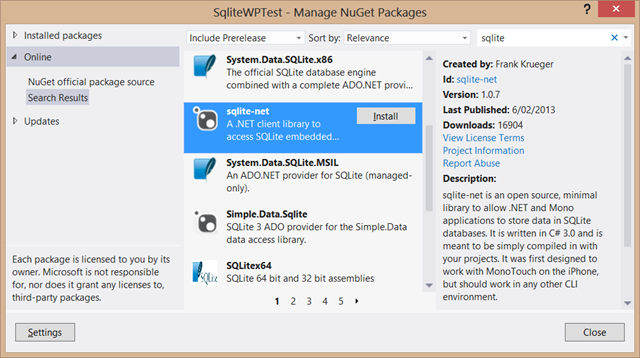 - Add the sqlite-net-wp8 project into your solution. 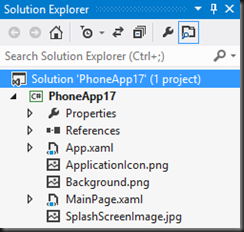 - Open the project properties page for the Windows Phone project by double-clicking on the properties node in Solution Explorer. 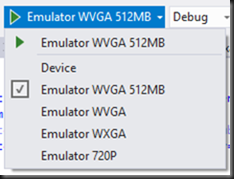 Add USE_WP8_NATIVE_SQLITE to the Conditional compilation symbols for All Configurations and All Platforms via the Build tab. - We’re almost there, we just need to write some code. Add the following code to the MainPage.xaml.cs pages (remembering to add the appropriate using statements). - At this point we have all the bits we need but you’ll probably find when you attempt to run either application you’ll run into build errors to do with the supported architectures. 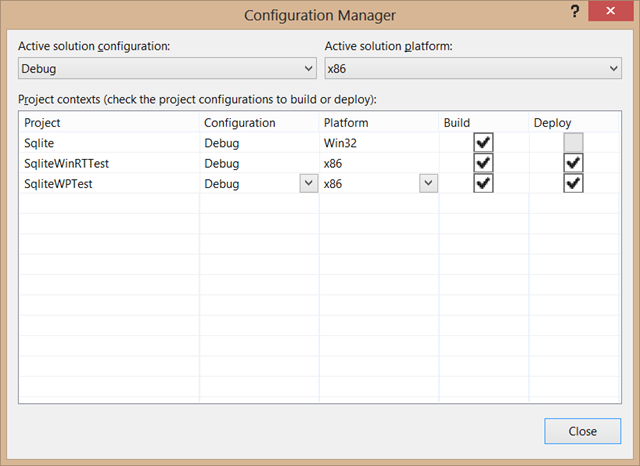 You’ll need to alter the build configuration (right-click on the solution in Solution Explorer and select Configuration Manager). Remember you need x86 for the emulator and ARM for debugging on a real device (and the store). Stay tuned for the next instalment when we look at fixing the PCL issue. 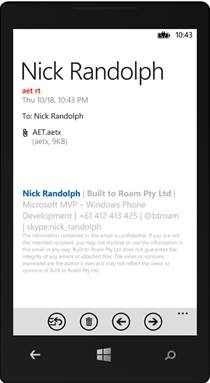 Increasingly the projects that we’re undertaking at Built to Roam and Pixel and Sons span both Windows Phone and Windows 8 (aka WinRT). For anyone who’s worked across these platforms you’ll be aware that they’re similar, yet frustratingly different, requiring a significant amount of rework when building applications for both. We’ve attempted to minimise this through the use of both MVVM and Portable Class Libraries. The former allows us to have view models that work across both platforms, the latter allow us to house those view models (and a large proportion of our application logic) in a reusable library that is shared (without the need to recompile) between both our Windows 8 and Windows Phone applications. One of the areas that we’ve avoided to date is the need to store data using an actual database (across both platforms). We’ve had Windows Phone projects where we’ve used Linq to Sql or the managed wrapper for sqlite; for other projects we’ve chosed to store either xml or json to a flat file on disk. This post is about the learnings taken from a relatively frustrating week trying to see how Microsoft has delivered (or hasn’t delivered) on their announcement last year to support sqlite across both Windows Phone and Windows 8. You might think this a silly requirement when referring to data access. However, I have this as a prerequisite for any library or component that I’m considering. If it ain’t Blendable, it doesn’t make it through the door. I work with some awesome designers who actually know how to work with XAML. I don’t want them hand crafting it, or ideally opening VS, as this just lowers their productivity. Well duh! Although actually it’s not such a silly requirement – in a lot of cases there is a massive trade off between flat files (super simple) and database (quick but frustrating to work with). More often than not, flat files win as we’re not scanning large number of items by index or doing large complex joins (that’s server stuff, typically). I want to reuse an entire library without recompiling across both Windows 8 and Windows Phone, not just share code with # conditional compilation blocks. Seriously, this is like writing apps in HTML v’s XAML (oh wait, people still do this….let me think of a better example). Writing data access by hand crafting sql statements is for muppets, particularly on a client device where you shouldn’t be doing massive heavy lifting. Do this, and you should be considering which mainframe you’re going to be maintaining in 5 years time. Get with the program, use some object to sql mapper that doesn’t mean you’re writing sql code for client applications. 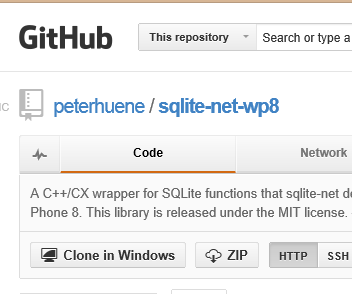 1) Use the existing managed sqlite library that was created for Window Phone 7. I’m sure there might be other options but these are the ones I’ll be covering in these posts. This post we’ll actually take a look at the third option, sqlite-winrt, which has recently been announced on the Windows Phone developer blog. - Unzip the downloaded file and attempt to open the solution by double-clicking the .sln file (currently SqliteWinRTComponents.sln). *** At this point I get a “failed to open project” notice from Visual Studio because I haven’t installed both the SQLite for Windows and SQLite for Windows Phone extensions. If you’re only interested in supporting one of the platforms then you just need to install the extensions for that platform, and simply ignore the error since it is just pointing out it can’t load one of the projects. 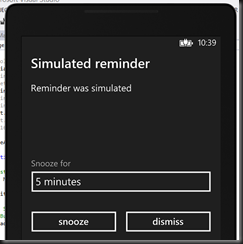 - Add a reference to the SQLiteWinRTPhone library to your Windows Phone application. - Ok, you’re good to run (at least on the emulator) This will work the first time through but fail the next because it attempts to create the Cities table multiple time. I’ll leave it to you to refine the code. - To fix this, right-click on your solution in Solution Explorer and select Configuration Manager. 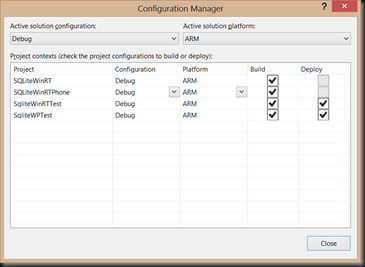 Change the Active solution platform to ARM. - Rinse and repeat for WinRT. Make sure you reference the correct SQLite wrapper (Resharper caught me out here and automatically added a reference to the phone wrapper). Also, you’ll need to change MessageBox to use the MessageDialog class. - PCL: Fail – not a PCL in sight. The code is tightly coupled with the Sqlite wrappers. Looks like we’re going to have to add another indirection layer here to get this to work…. - Objects Not SQL: Fail. Hmmm, I’m not going any further here. I can see this as being useful for those wishing to write raw sql but for me, I’m going to invest time elsewhere. That’s enough sqlite for one day. I’ll be back with part 2 where we’ll look at sqlite-net and how you can use this to give you objects instead of sql. Part 3 will look at how we can fix the lack of PCL support (for both sqlite-winrt and sqlite-net). We’ve been working closely with the local enterprise sales team at Microsoft around the opportunities to use Windows Phone in the enterprise. 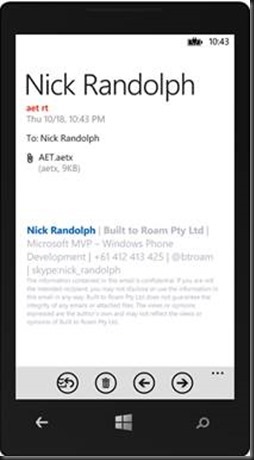 Personally I think this is where Windows Phone is going to absolutely rule the roost – integration into Exchange, Sharepoint, Office apps, and of course device management through your favourite MDM solution. 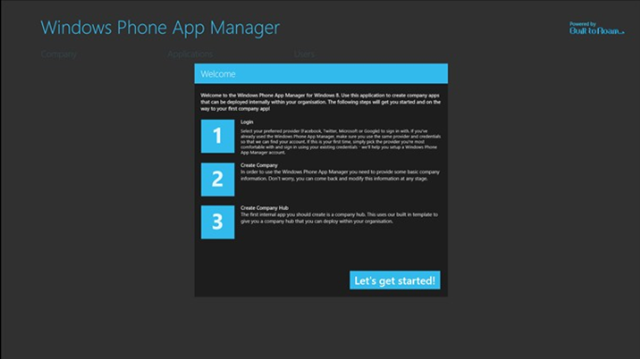 Something that comes up early in this discussion is “how do I build a company hub for my organisation?” Well we’ve recently released the first version of the Windows Phone App Manager to the Windows 8 store. We’ve also been working on a getting started guide – this is particularly important with this release as we’re still working through refining the UX so make it easier for companies to build their company hub. Update: The Windows Phone App Manager has been updated to include the ability to specify floors, rooms and internal directions using NFC. Calling all SA Adelaide based Mobile developers, Microsoft and Nokia are delighted to announce that we’ve have extended the Windows Phone 8 Developer series of workshops to now include Adelaide. Windows Phone 8 is a huge step forward, not only maintaining compatibility with existing Windows Phone apps, but embraces a number of core Windows 8 technologies, bringing significant performance improvements, support for managed and native C++ development, in app purchase, wallet, NFC, developer access to the Bluetooth and speech APIs, and more. See Windows Phone 8 developer platform highlights. This two day workshop is scheduled for Friday May 3rd and Saturday May 4th. The first day is a presentation day that will get you up to speed with the Windows Phone 8 developer platform. Day two (Saturday) is a hands on labs day to guide you through the experience of building Windows Phone apps. 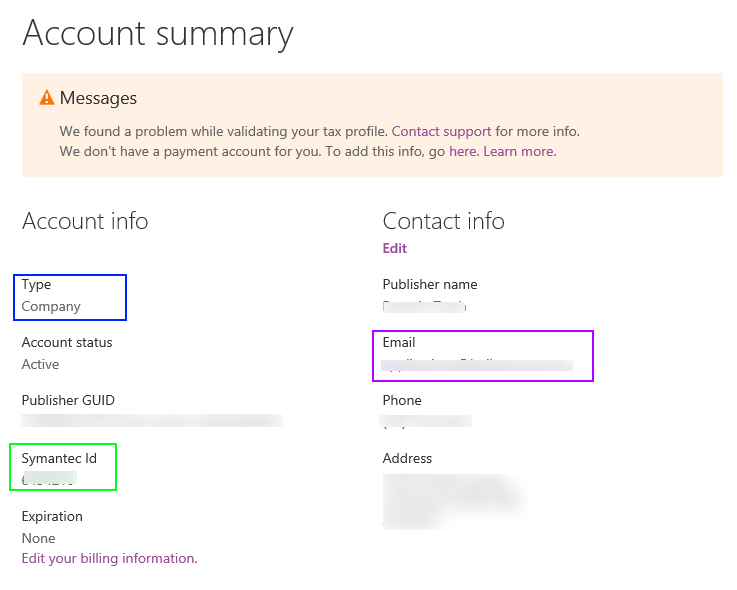 Here are just a couple of gotchas I ran into whilst setting up a Windows Azure Mobile Service to accept login requests from all four providers: Microsoft Account, Facebook, Twitter, Google. - The name of my application contained words that weren’t allowed. This includes trademarked words such as “Windows Phone”. Unfortunately this meant that when I attempted to set the Redirect URI and hit Save, nothing appears to happen – the error is not visible as it’s on a different tab. Solution was to change the Application name, then hey presto it works. Hopefully this helps someone get up and running in less time than it took me! That’s right, we’re stepping out and now have an awesome office space located in North Sydney. This will allow us to be more productive and have a suitable work space for the team as we grow. Yes, you read it right, we’re growing. We’re super happy to have Dave Lasike (and more apps) join us at Built to Roam. There is so much interest in Windows Phone and Windows 8 that we’re going to need all hands on deck this year to make sure we continue to deliver amazing apps for both platforms. If you thought last year was exciting with the release of Windows Phone 8 and Windows 8, you’re not alone. With momentum building for both platforms, this year will see a number of big name brands appear across the whole ecosystem. Our advice is don’t get left behind, make sure you contact us so that we can assist you take advantage of these new platforms and extend the reach of your product set. I’ve already talked about the basics of enterprise application deployment with Windows Phone 8, which you can find in the following two posts. In this post we’re going to look at how you can start to manage and deploy multiple enterprise applications. Of course, there will be some organisations who use an MDM provider (for example Silverback) which will facilitate the deployment of applications to specific groups of employees. However, there will be some organisations that elect not to use an MDM, and yet still want to deploy multiple enterprise applications. 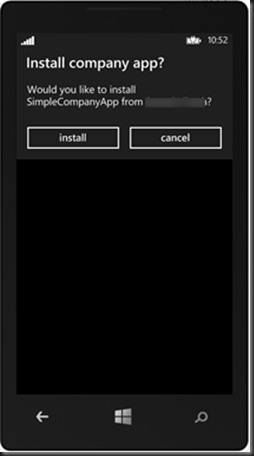 For this you can use some of the new APIs in Windows Phone 8 to enumerate installed applications and prompt for installation of applications. If the user clicks on these applications there are a number of ways that the company hub can install the selected application. Assuming that the application is stored on a remote server you can simply launch the uri pointing to the xap file. 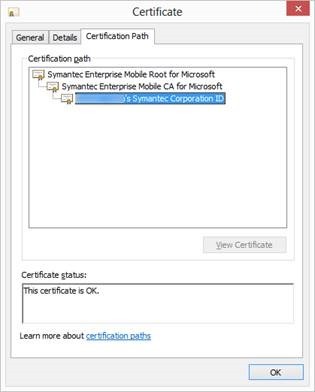 Whilst this will work, assuming that the enterprise certificate that the application has been signed with is already installed on the device, it doesn’t provide a great experience for the user. 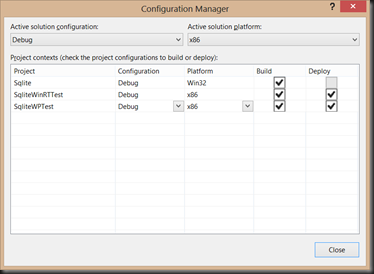 Another alternative is to use the AddPackageAsync method on the InstallationManager. The return value from the AddPackageAsync method can be used to retrieve installation progress information that can be displayed within the company hub whilst the application is being installed. Both these alternatives download the xap in clear form from the remote server. 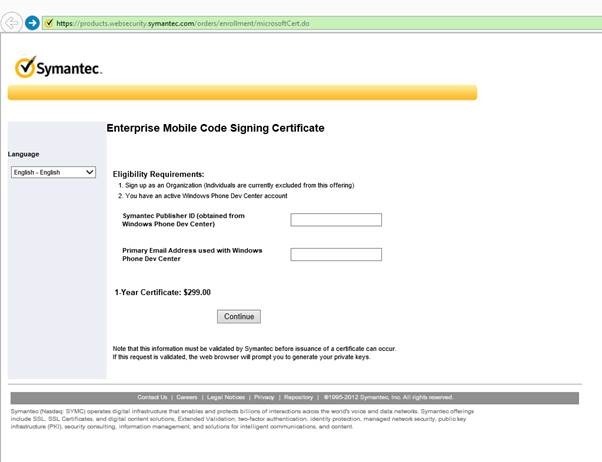 Whilst this might be ok if the user is on an intranet, it’s not a great solution if you want to make applications accessible to remote users (which you would hope would be the case since they’re mobile….). In this case you really need to ensure the application is encrypted or protected somehow to prevent the applications from being decompiled. 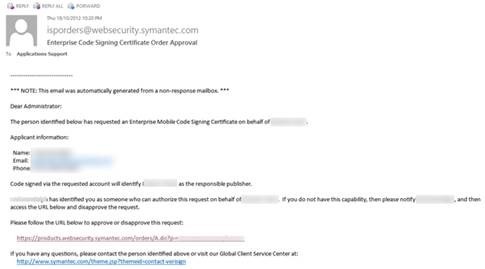 The script for signing the applications does not provide any level of protection – it simply invokes a native compile of the dlls and then signs both dlls and xap. As such you should consider applying your own level of protection, which in turn means we need an alternative method to install the applications via the company hub. One solution is to package the other applications into the company hub. 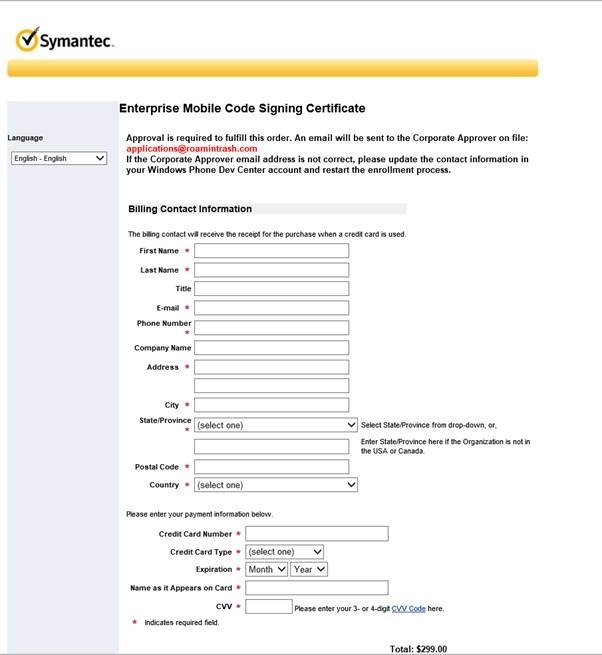 Each application needs to be created and then signed using the enterprise certificate. They’re then added to the company hub project with the build action property set to Content – this ensures they’re packaged with the company hub. Once the company hub has been installed the user can select one of the applications packaged with the company hub for installation. Since the application isn’t downloaded there is no way to intercept it, so no further protection is required. This method again uses the AddPackageAsync but this time with a uri that points to a file packaged with the company hub (progress reporting has been omitted for brevity). Alternatively you can also use the Launcher.LaunchFileAsync with a reference to the file but again this doesn’t report on the installation progress. One thing to note here is the slightly unusual path syntax that is required by the AddPackageAsync method. 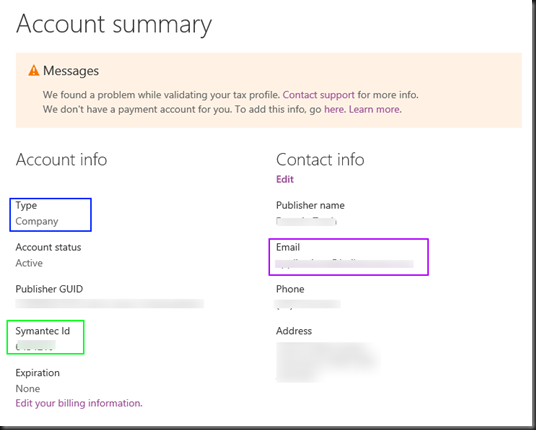 It will not work with either a relative uri or a uri starting with ms-appx or ms-appdata. The downside of this method is that you need to bundle all the other applications into the company hub, even if they’re not relevant to the current user. A better solution is to download an encrypted application from a remote server, decrypt it locally, and then install the application from isolated storage. In this post we won’t cover the first two steps, as this is up to the organisation as to how they wish to encrypt the application file and distribute the keys to the company hub application so it can decrypt the application file. The last step is actually similar to installing an application that is packaged with the company hub. However, this time the file is stored in isolated storage, which slightly changes the way the file path is constructed (you could also use new Uri(“ms-appdata://local/MyApp.xap”) rather than using the LocalFolder). In this post you’ve seen how you can install additional enterprise applications from a company hub. In deciding which method to use you should consider both the sensitivity of the application logic and the risk of data being intercepted. Don’t ask why, but I needed to be able to do a dns record lookup for a srv record from a Windows Phone application. I went looking for a library that could do this and came up with Phone Net Tools (http://phonenettools.codeplex.com/) – this seems a great library but fairly rudimentary support for DNS queries. I also came across a great post by Rob Philpott on CodeProject (http://www.codeproject.com/Articles/12072/C-NET-DNS-query-component) – it’s a bit dated and for legacy technologies (I needed to upgrade everything to even run it!). Whilst this option seemed to be more painful to update the architecture seemed to lead itself to being extended to support srv records. The net effect is there is yet another library on codeplex, this one dedicated to doing DNS lookups from a Windows 8 or Windows Phone application. In the past I wasn’t a big fan of the Portable Class Library as I felt it imposed more restrictions than necessary and would constrain/frustrate developers more than it would actually solve a problem. However, in recent times a couple of things have happened that have made this whole experience a lot better. Firstly, we no longer need to drag out VS2010 to do Windows Phone 7 development. The new Windows Phone 8 SDK plugs into VS2012 and allows for both WP7 and WP8 app development. This means that if you’re going to be targeting multiple versions of WP you can do so in the same solution. Next, the release of Microsoft.Bcl.Async on nuget – ok, you’re probably thinking what’s that? Well a while ago Microsoft published the Async programming CTP. Whilst it had a go-live license and could be used in your Windows Phone 7 project it was a hassle to install in VS2010 (due to a weird set of dependencies which were broken with subsequent updates to VS) and didn’t support VS2012 at all. The Microsoft.Bcl.Async package is the replacement for the Async CTP, allowing you to do asynchronous programming in WP7 apps. Of course, both Win8 and WP8 support async programming out of the box. Ok, on to using a Portable Class Library. The concept here is that you want to build a single, managed, library that can be referenced by applications targeting different platforms. Let’s walk through a simple example. 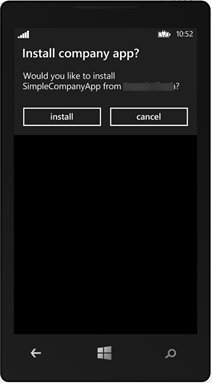 We’re going to start by creating three different applications within the sample solution: SimplePCLTestApp.WP7, SimplePCLTestApp.WP8 and SimplePCLTestApp.Win8. As the project names suggest the projects should be targetting WP7, WP8 and Win8 respectively. We’re then going to also create a Portable Class Library called SimplePCL. Note, when you go to create the PCL you’ll see a prompt similar to the following image. This allows you to specify which frameworks your going to be targeting. In this case we’ll take the default options as we’re not going to be building for XBox. 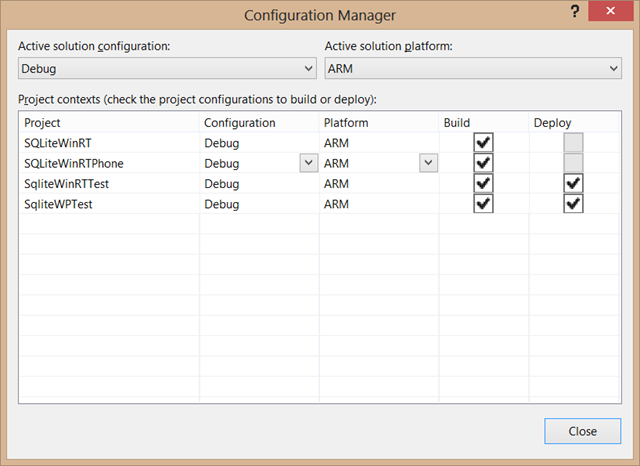 The next thing to do is to add the Microsoft.Bcl.Async nuget package into the WP7 and PCL projects. The following image illustrates the package that you’re after. The last preparatory step is to add a reference to the PCL project to each of our applications. This is done as per normal by right-clicking the project, selecting Add Reference, and then selecting the PCL project from the solution node. // This will sleep waiting for a signal that will never happen! - The use of INotifyPropertyChanged – almost essential for view models, which you will probably want to share across projects if you’re using MVVM. Note the OnPropertyChanged method uses the CallerMemberName attribute, rather than the property name having to be specified when the method is called. - The UpdateName method is an asynchronous method which launches a background task using Task.StartNew. This is to simulate some long running task (eg service call, or disk I/O). There is no support for Thread.Sleep in the PCL so we’ve used a workaround which involves waiting for a reset event that will never happen. - The Name property is updated after the background task has completed. If this method was invoked on the UI thread then it’s safe to update the Name property, since the PropertyChanged event also needs to be invoked on the UI thread to prevent a cross threading violation. And there you have it. An example of how you can use a Portable Class Library to abstract our your platform independent code. 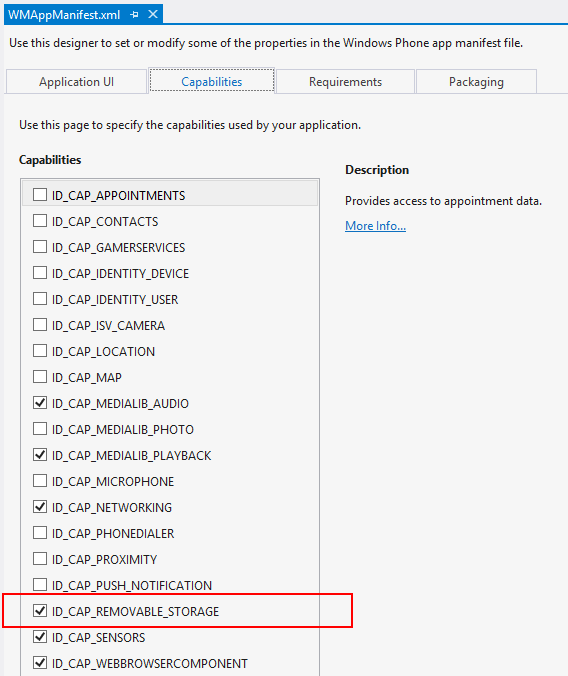 Before you get all excited and worked up about the fact that you can use an SD card with the new Windows Phone SDK there are a couple of limitations that you need to be aware of. Keep in mind that one of the primary scenarios that was being solved was the distribution of apps (errr, did I mention apps…. 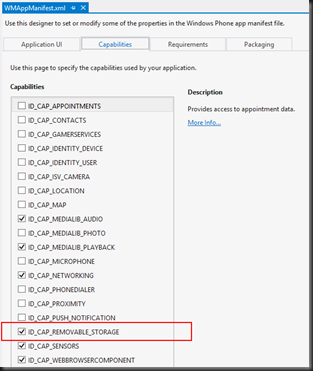 this is limited to Enterprise apps) and content, rather than being an extension to the device storage. - You can only access file types that you’ve registered for (this excludes the standard file format – which is a bit nasty if you want your app to say process images or documents supplied on an SD card). - You can only read from SD card. Ok, with these limitations in mind, let’s take a shot at reading from an SD card. First up, we need to get an SD card (oh and a real Windows Phone 8 device to work with) and put some content on it. In this scenario we’re going to use a sqlite database called mydata.sqlite. I simply inserted the Micro SD card, using an SD card adapter, into my laptop and copied across the existing sqlite file. I then inserted the card into my Windows Phone 8 device. 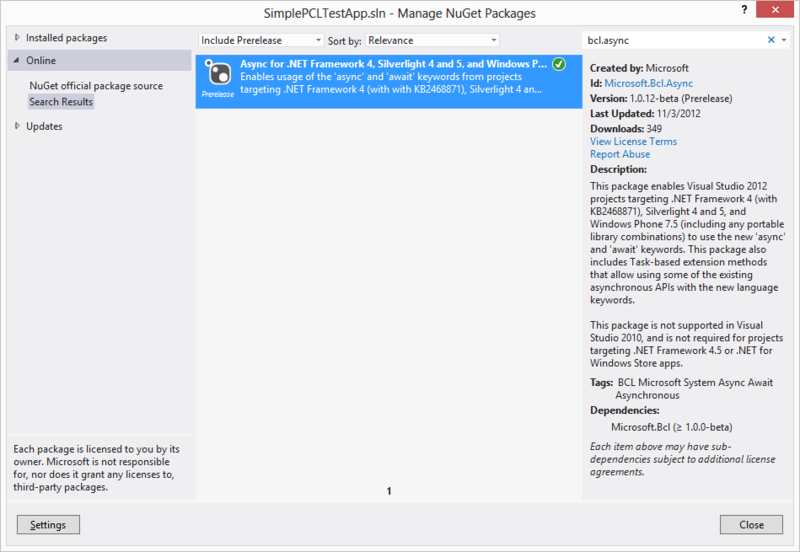 Next, I opened my Windows Phone 8 project and added a couple of nuget packages. These are only required if you’re using sqlite, if you’re using some other file type, you don’t need to worry about these packages. sqlite-net – This is a super-easy wrapper that you can use in order to access the content. 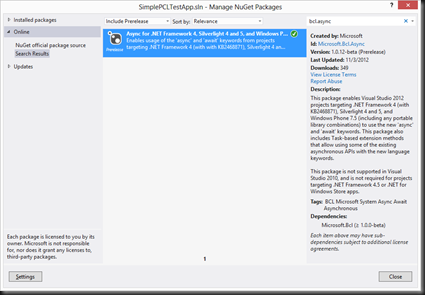 Unfortunately, whilst these two packages were designed to work together, for some reason the versions that are in nuget are incompatible, requiring some minor modifications to get them to work. Luckily this is mostly a matter of replacing “out” with “ref” in a couple of methods. The next thing to do is to declare our intent to a) read from the SD card and b) what file types we want to be able to access. Double-click the WMAppManifest.xml to open the designer, switch to the Capabilities tab and check the ID_CAP_REMOVABLE_STORAGE capability. Close the manifest designer, right-click on the WMAppManifest.xml file and select Open With. Select XML (Text) Editor and hit Ok. You need to add a FileTypeAssociation element into the Extensions element. If Extensions doesn’t exist, you may need to create that too – it needs to sit after the Tokens element but before the ScreenResolutions element. Now all that’s left is to write some code in order to access the content from the sd card. If you’re simply going to read from the files you can do so in situ. However, in this case we’re eventually going to want to write to the file, so we’re going to copy it to Isolated Storage first. // Connect to the current SD card. Cancel My Newspaper Subscription: Would a Real Journalist Please Stand Up! - First, he states that Microsoft is so far behind Android and iOS that it sees RIM as it’s main rival. This comment is completely out of context and he provides no actual basis. It’s a reality that RIM is the closest in market share, so of course they are the next target in terms of just acquiring market share. This in itself doesn’t mean that Microsoft isn’t looking to capture a much larger market share. 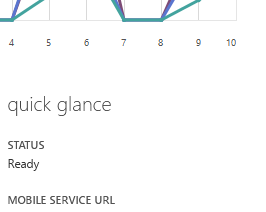 If you look at device features, variety, developer platform/tools etc, Microsoft isn’t lagging. In terms of apps, there is a way to go before we get to where Android or iOS is but that’s a result of how long the platform has been around more than anything. - Next, he says that analysts are saying Microsoft is wrong and has no hope…. Really, again who said this. If this is what you believe, then how about putting your name to this comment. - It’s great that the only quotes from Microsoft is about how hard it is to compete in a market that’s heavily saturated by the incumbent platforms. Well duh! this isn’t news. How about giving us a run down on all the new features of Windows Phone 8, instead of boring us with the obvious. 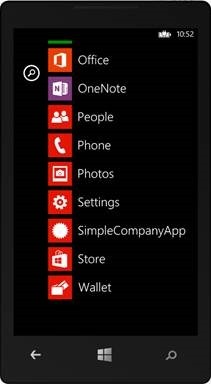 * Live Tiles – this in itself is not new. However, apps can now take advantage of three different sizes, the ability to flip and cycle content through the tiles. * Kid’s corner – an isolated area of the phone where kids can play without parents worrying about their data or wallet being compromised. * Wallet - I originally had this in here but the other smartphone platforms are all doing their own interpretation of this so it's not really new. 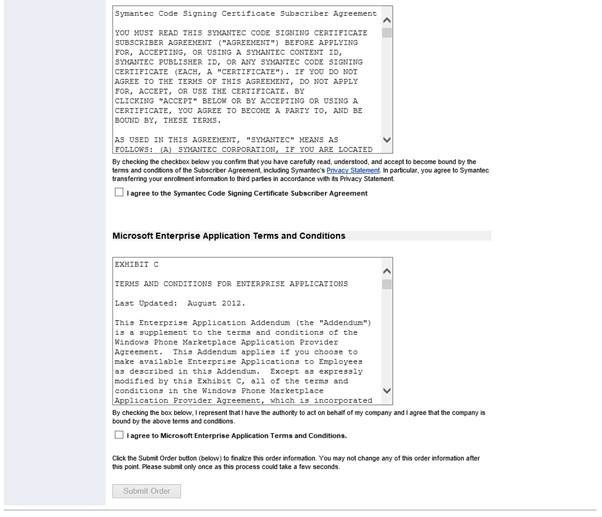 In the previous post we used the XapSignTool directly in order to sign the enterprise application. 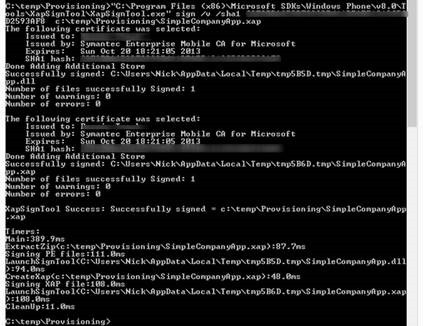 One of the changes introduced to Windows Phone is the ability for the Windows Phone store to distribute precompiled applications, making them run that much quicker. In order to take advantage of this for your enterprise applications you need to run the MDILXAPCompile tool which ships with the SDK. 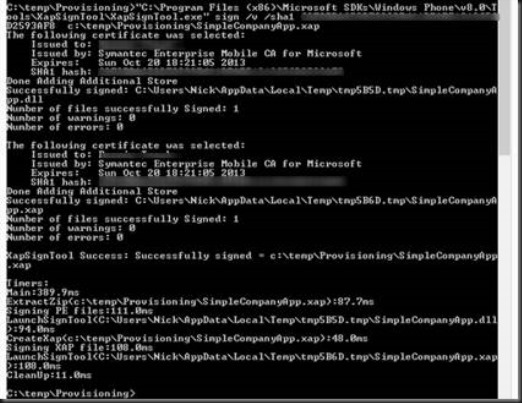 Luckily, the team have also provided a powershell command making it dead easy to precompile and sign your application in one easy step. Firstly, you’ll need to run powershell. Depending on how your system is setup you’ll probably want to run it as administrator as you may need to change the execution policy. If you’re familiar with powershell you can probably skip these steps. This is a step by step guide to preparing your organisation so that you can sign and deploy enterprise applications. 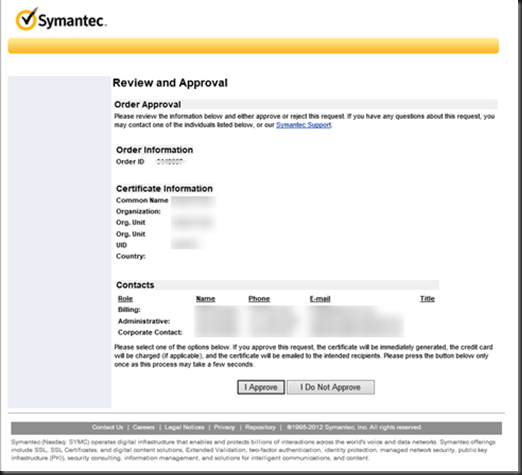 First up you’re going to need your Publisher ID (also referred to as Symantec Id) and Approver Email Address. 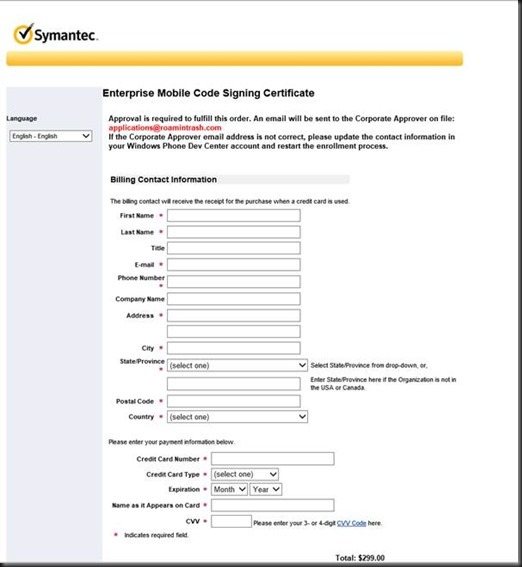 You’ll need to monitor the approver email address for “Enterprise Code Signing Certificate Order Approval”. If this is someone else in the organisation you must warn them – if they receive this and accidentally click the “I Do Not Approve” option it will result in significant delays. You should receive confirmation email that the order has been approved. Follow the link to retrieve the certificate. This should be done on the same computer and in same browser that the initial request was made. 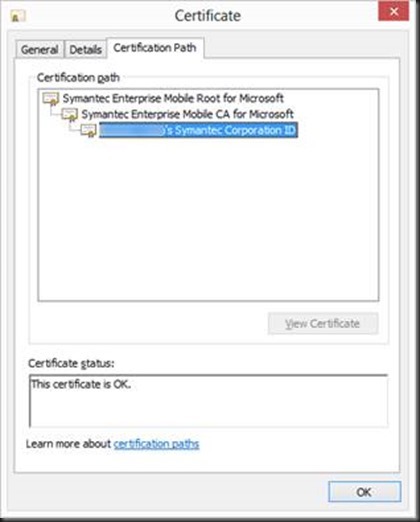 Open Certificate Manager management console (Start > Run > Certmgr.msc) and confirm that certificate exists and that the full Certification Path exists. This is a common error – only the leaf node is exported. Make sure you have the full path as illustrated in the screenshot below. Create your application as normal. When you want to deploy your application, take a copy of the XAP file that can be located in the \Bin\Release folder of your application. Open “Developer Command Prompt for VS2012”. Warning: Make sure you open the correct command prompt as not all of them have the same environment parameters set. This may prevent some of the tools running correctly. 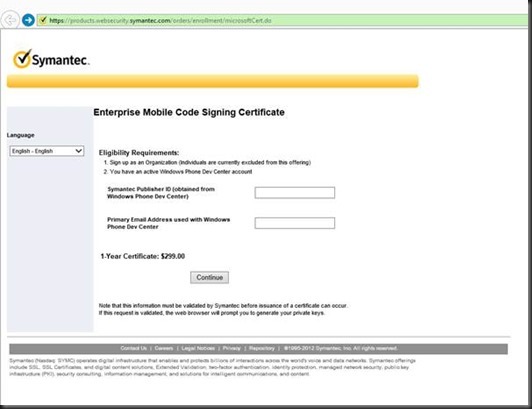 Locate the Symantec Enterprise Mobile CA for Microsoft and copy the SHA1 Hash value (right-click command window and select Mark, select SHA1 value and press Enter to copy value). If successfully run then the original XAP will be replaced by the signed XAP. 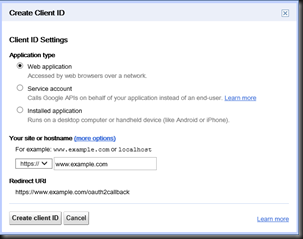 This file can be hosted on a server for downloading directly to device. 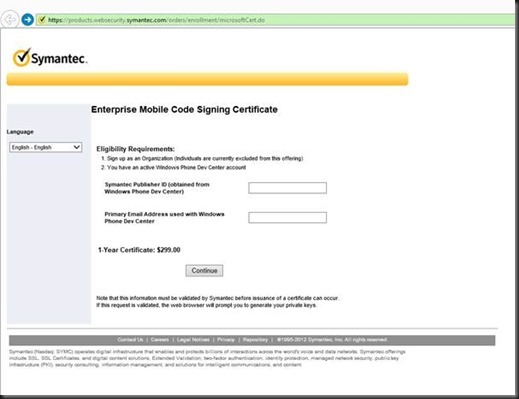 Should be protected by credentials and available only over SSL. 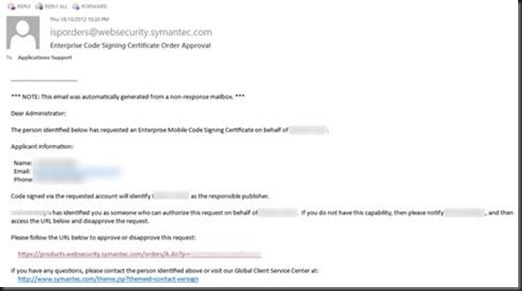 Whilst it is signed it is not encrypted so can be decompiled. 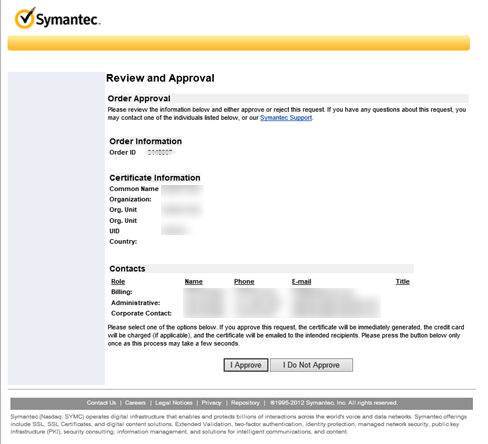 Warning: The permissions on the file may be changed as part of this process. You may need to reset permissions on the file in order for it to be able to be downloaded to the device. 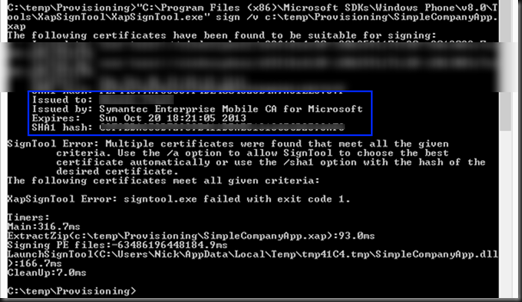 From command prompt run AetGenerator (first parameter is the backed up certificate; second parameter is corresponding password). Click on attachment to download. Once downloaded, click on attachment again to open. When prompted confirm installation by clicking Install. Application will then install silently (unlike Store that takes the user to where the application is installed in applications list). 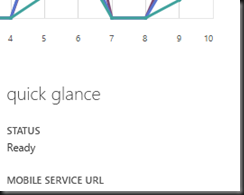 Depending on whether your application targets WP7 or WP8 you’ll see different options in the devices dropdown. 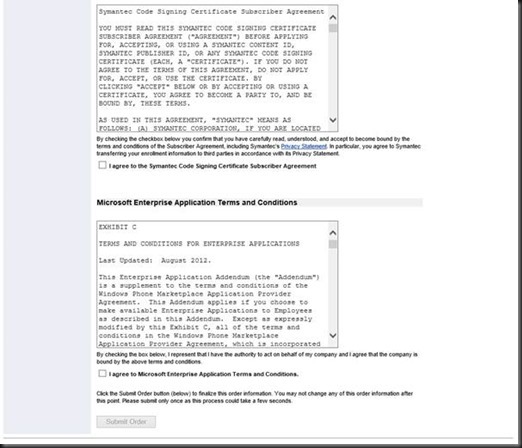 Since it is possible to run WP7 devices on both WP7 and WP8 devices you’ll see additional options for WP7 targeted applications (right image). 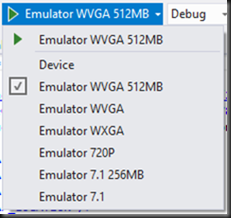 In the same way that you should always test your application on both the emulator and a real device, for a WP7 application you should test on both the wp7 and wp8 emulators, and ideally both wp7 and wp8 devices. In fact with the new SDK the test matrix just got significantly larger as you need to also test the 720p emulator (I’m less worried about the WXGA emulator since in theory it should just scale up from WVGA – the only thing to watch is that images don’t pixelate). If you didn’t already realise, the new emulator images are actual hyper-v virtual machines. This means that they will appear in Hyper-V Manager. Although, I wouldn’t recommend attempting to tweak the images via the manager! The Additional Tools window includes a Network tab, although in my case it’s a little confusing because there are four adapters. 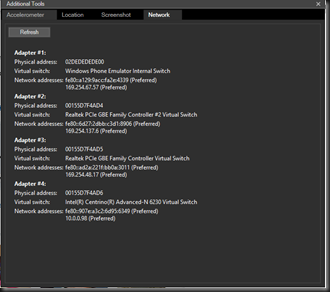 Whilst I haven’t been able to get Fiddler to work with the new emulators it does appear that lower level tools such as Wireshark can be used to monitor traffic – it’s useful to see what the IP address of the emulator is via the Network pane so that you can filter the traffic. 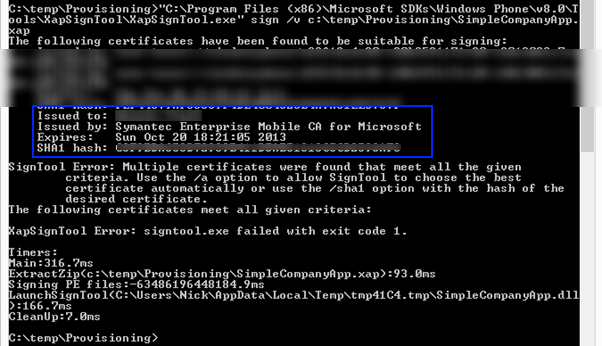 In the Windows Phone 8 SDK there is another tool that can really assist with debugging applications and their behaviour when interrupted. The Tools menu contains a link to the Simulation Dashboard. The Simulation Dashboard (adjusts the currently selected emulator in the device dropdown) allows you to monitor the network speed and signal strength. It also lets you trigger the lock screen and a reminder. Being able to trigger a reminder will aid in debugging your application, or game, when it is partially obscured, rather than simply when the user navigates away from your application. 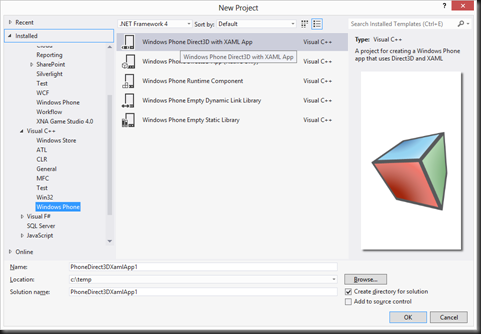 In the previous post you would have seen that you can now select with a WP7 or WP8 target when creating a new project with the Windows Phone 8 SDK. With earlier SDK versions the choice of target platform made very little difference to the project structure. Now, there are some substantial differences that you should take note of. 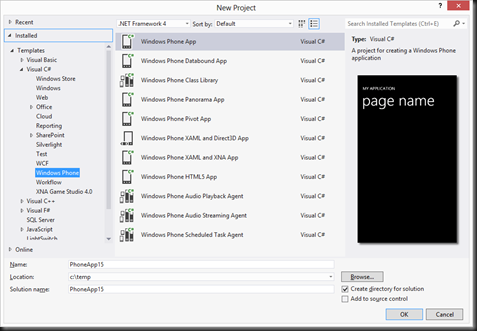 The following images illustrate the project structure for Windows Phone 7.1 (left) and Windows Phone 8 (right) projects. - There is no splash screen image in the template. Actually WP8 does use the same splashscreen mechanism, requiring the file SplashScreenImage.jpg. You can also provide high resolution versions of the splash screen image which need to be named appropriately (see documentation for details). My guess is that because WP8 application start up so quickly (through a combination of improved runtime and precompilation of assemblies etc), the thinking is that the splash screen is not necessary any more. 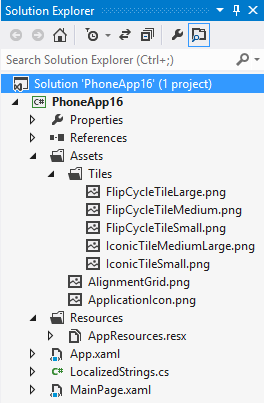 - Background image has been replaced by a series of tile images (in the Assets\Tiles folder). 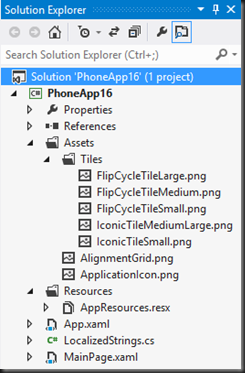 WP8 supports small, regular and large tiles, as well as flip and cyclic templates. The series of tiles gives you a starting point to working with the different tile formats. - AlignmentGrid (located in the Assets folder) is an overlay that you can display on any page to see if your controls/text align correctly. Alignment is an important aspect of fit and finish of an application, and is all too often neglected. The result is an application looks unfinished or off balance. You’ll see in MainPage.xaml that there is a element which you can uncomment in order to display this image. Note: IsHitTestVisible is set to False to ensure it doesn’t affect the way that your application operates. You should also take note of the comment in the XAML which indicates you may need to adjust the Margin depending on whether you have the SystemTray visible or not. These strings can then be localized by creating appropriate resource files for each different language you want to support within your application. 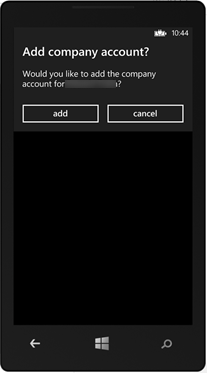 Depending on the language specified on the user’s Windows Phone, the most appropriate language will be used within the application. One last observation is that the list of References has changed. Microsoft has recognised that developers shouldn’t have to add/remove assemblies that are part of the .NET Framework. As such, instead of seeing individual assemblies, developers now see just the frameworks that are references (see below image). It goes without saying that the starting point for any project is going to be the new project dialog. We are of course talking about Visual Studio 2012, where you’ll find all the Windows Phone 8 SDK goodness. What some people don’t realise is that you can do the same thing (ie create projects) in Blend. However, I find Blend to be obnoxious when it comes to file management and dealing with project structure. This is the one reason why I always start in Visual Studio – get your project/solution structure right, and then invite the designers into the room. The project templates in New Project Dialog, as you can see, haven’t changed much with the exception that in addition to a XAML/XNA template, there is also a XAML/Direct3D. With Windows Phone 8 we can now write native code to be part, or all, of our application or game. There are also a number of native project templates which you can use to create all or part of your project. Most of the managed project templates you’ll be prompted to choose which platform you wish to target. Clearly if you’re making use of native code, you’ll only be able to target Windows Phone 8. 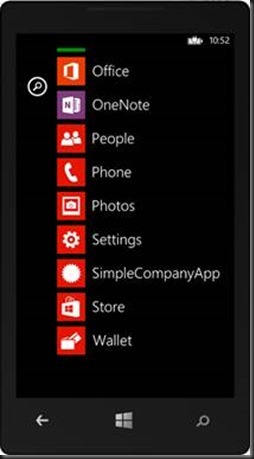 One thing to note is that if you target Windows Phone 7.1 your application will run on both WP7 and WP8 devices but of course, you won’t be able to access any of the new functionality. I must apologise for the long absence of posts on this blog. This is due to two factors: the first due to the large workload over the last six months. The second is that I've been posting more frequently over at the Mobile Corner on the Visual Studio Magazine web site. A full list of my posts are linked to from the published link. If you're in Australia over the coming months, don't forget to come out to TechEd and check out all things Windows Phone and its big brother Windows 8.